Once you have followed the installation procedures for WHMCS to set up your Reseller capabilities you can start to familiarize yourself with the various settings and configurations WHCMS offers. Follow the links below for more information about general settings tabs. 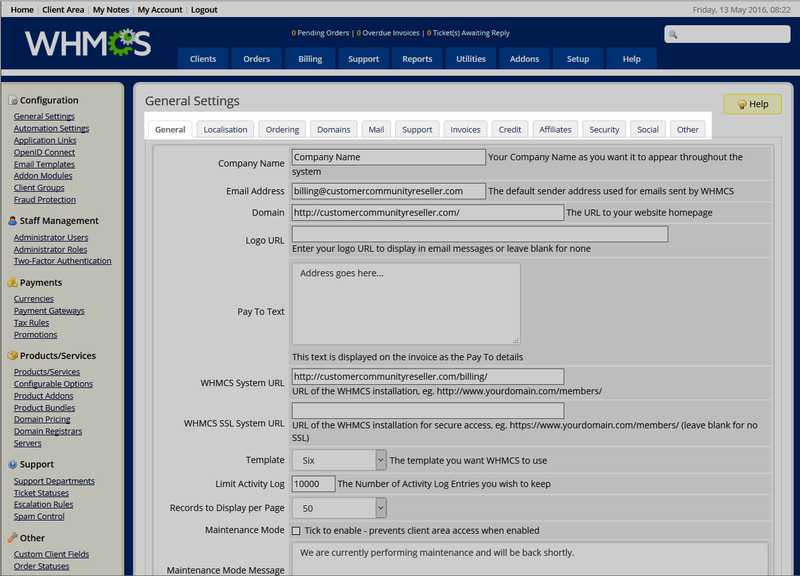 After you have reviewed and set up the basic settings for your WHMCS, you will be ready to create and add your first product.